The term government or ‘public research’ sector covers all state dedicated research institutions (EPSTs and EPICs), state higher education institutions, university hospitals, French comprehensive cancer centres (CLCC) and the public non-profit sector (PNP), as well as civil and military government departments that fund or carry out R&D. The ‘business enterprise’ sector covers state-owned or private businesses that conduct R&D. ‘Abroad’ refers to State or private operators located outside of France and international organisations such as the European Union. In 2014, budget allocations spent on public research totalled nearly €13 billion and funded 68% of all public research and development (R&D). Resources contributed by institutions themselves accounted for nearly €6 billion and for 32% of R&D funding for public research. Funding for public research comes primarily from budget allocations from the Inter-Ministerial Mission for Research and Higher Education (MIRES). These allocations cover R&D carried out at State institutions, as well as in the four other sectors in France and abroad (see Methodology). They include public service subsidies and allocations designed to finance university research, dedicated State research institutions, funding bodies for research projects, various mechanisms for funding and promoting R&D by businesses and research carried out through public-private partnerships. They also include funding for measures that aim to share and promote scientific and technical culture. In 2015, the MIRES allocated a total of €12.8 billion to research, as compared with €13.8 billion in 2014 and €14 billion 2013. In 2014, resources for all public research (whether carried out internally by institutions or subcontracted to external organisations) totalled €19.1 billion (table 30.01). These came largely from budget allocations (68%), with the remainder made up by the institutions themselves, most often by means of contractual resources. The budget allocations spent came primarily (89%) from the MIRES (chart 30.02), with the remainder provided by contributions from other government departments. The proportion of budget allocations varied depending on the type of institution. It was larger for higher education institutions (73%) than for dedicated research institutions (67%) due to the high number of state-owned industrial and commercial establishments (EPIC) in this latter group (chart 30.03), and was very small for the public non-profit sector (10%). These proportions decrease as total budgetary allocations decrease. The resources contributed by institutions themselves fell into two distinct categories: ‘contractual resources’ (including contracts, agreements and calls for proposals), which accounted for 23% (€4.4 billion) of funding for public research (table 30.01), and other types of resources provided by institutions themselves (9% of total funding). Contractual funding came primarily from the public sector (€2.6 billion) (chart 30.04), with dedicated state research institutions linked together by a complex network of research collaboration. More than half of these contracts came from government funding sources such as the French National Research Agency (ANR), the French National Cancer Institute (INCA), Bpifrance and local authorities. 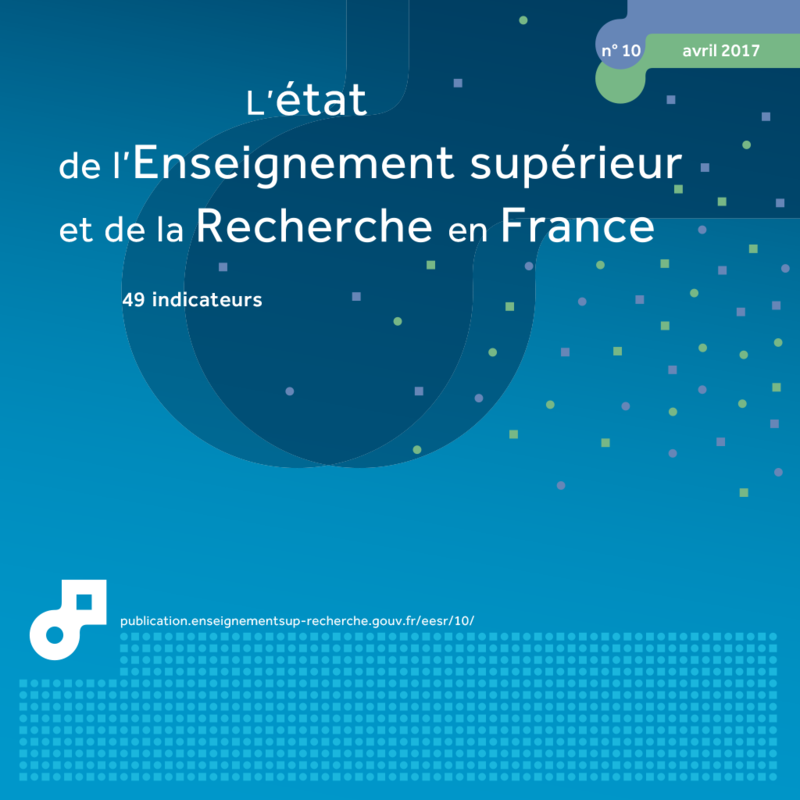 This proportion varied depending on the type of institution: it was a little larger for higher education institutions (56%) and state-owned scientific and technological establishments (EPST; around 53%), than for EPICs (26%). Public research was also funded through contracts with businesses, which accounted for a total of €0.9 billion. It also received an equivalent amount in contractual funding from abroad, from international organisations and from the European Union. EPICs and higher education institutions were the main beneficiaries of such foreign funding (chart 30.04), with the French Alternative Energies and Atomic Energy Commission (CEA) and the French Government Space Agency (CNES) receiving the lion’s share. Other public research resources fund 9% of public sector R&D. These come from intellectual property royalties, donations and legacies, and service provision. Their proportion is structurally greater in the public non-profit sector (44%) and EPICs (18%). 2 Budget allocations are funds set aside for institutions in the government budget. In accordance with the methodology used here, the term refers to allocations that have been spent. 3 Including international organisations and the European Union.